Does the free market truly ignore the poor? Are humans really destroying the Earth? Is the government truly the first best source to relieve distress? 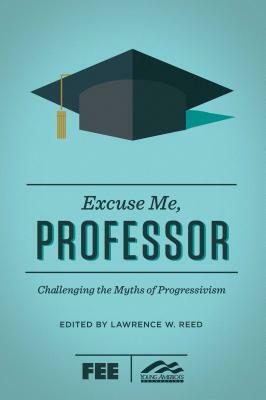 Compiled and edited by Lawrence W. Reed in collaboration with the Foundation for Economic Education and Young America's Foundation, this anthology is an indispensable addition to every freedom lover's arsenal of intellectual ammunition. Lawrence W. "Larry" Reed became president of the Foundation for Economic Education (FEE) in 2008. Previously, he served as president of the Mackinac Center for Public Policy in Midland, Michigan, and chaired Northwood University's department of economics from 1982 to 1984. Reed has authored more than 1,000 newspaper columns and articles and dozens of articles in magazines and journals worldwide.